Recipe from ‘The Allergy-Free Cook Bakes Cakes and Cookies’. These turned out really well, both flavour and texture-wise. I did find they needed to bake quite a bit longer than the recipe recommended. 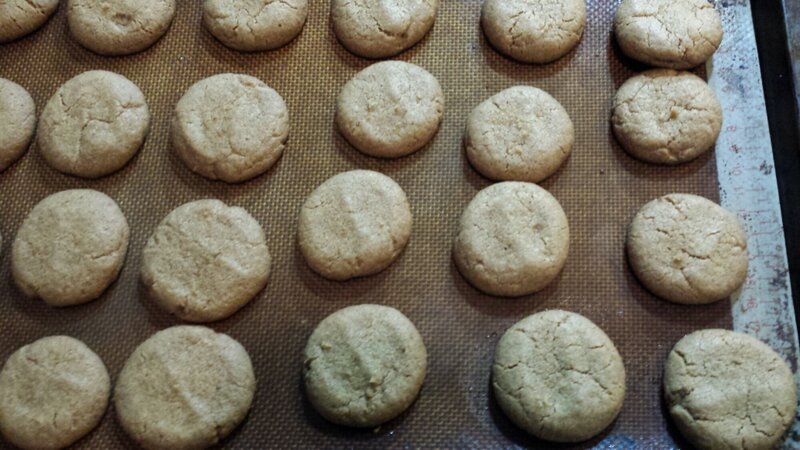 The only modification I made was sprinkling the cookies with a bit of maple sugar before baking. Update: It turns out the baking time may have been accurate after all. Even though I stored them in a tin, they hardened up quite a bit in the 1 1/2 days between the time I baked them, and the time I served them. They were still good, but they were quite crunchy!